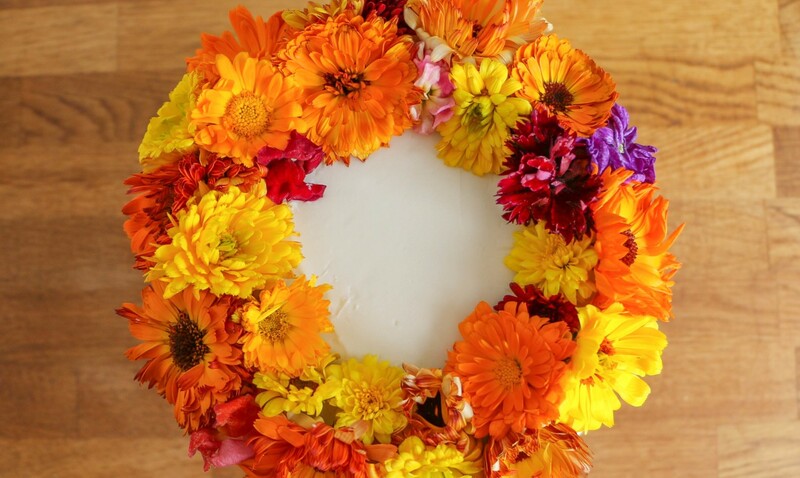 If you’re considering using flowers as cake decorations but think it might require professional-level skill, think again. 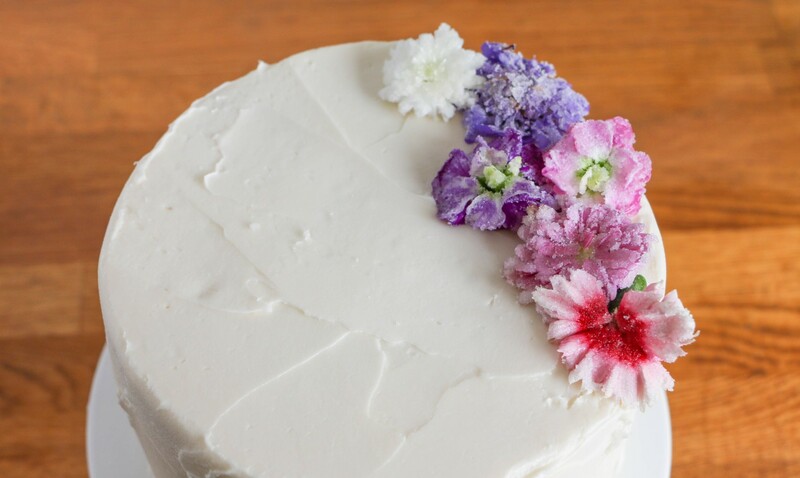 This part’s no joke: Some flowers are naturally toxic if consumed, and others are harmful because of pesticide use — so you might not want them cozied up to the frosting. 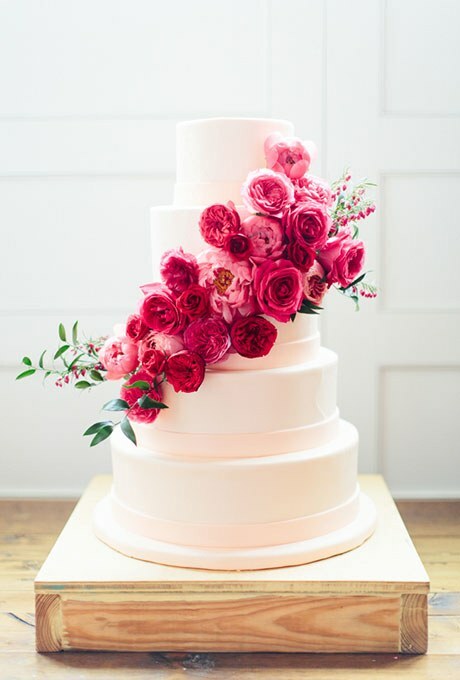 Think about when and where this cake will be served, and choose your flowers to match. No matter how gorgeous those lilacs are, they’re not going to hold up long on a warm day. Hearty mums, however, are easy to keep looking good. 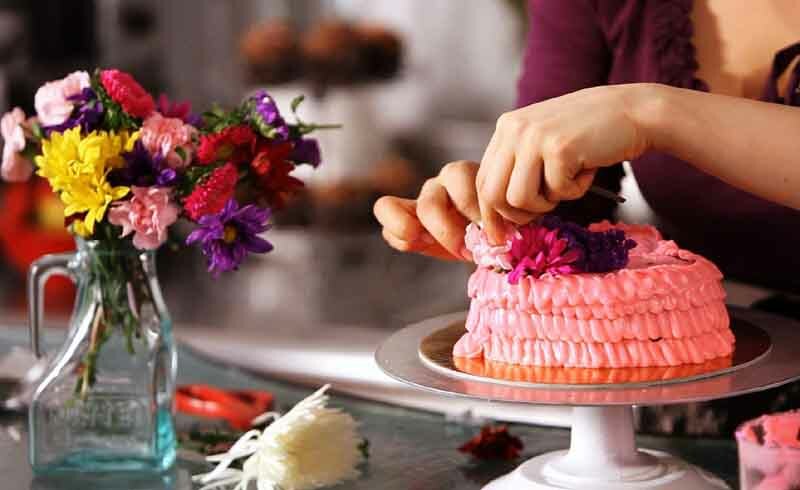 You can just stick the flower stems directly into the cake, but it that won’t keep your blooms or cake the freshest they can be. Instead, consider inserting them into individual flower holders (those little tubes available at florist shops) before pushing them into the cake. With those three points in mind, let’s move on to the fun stuff...decorating! Here are some easy-yet-dramatic ideas to get you going. 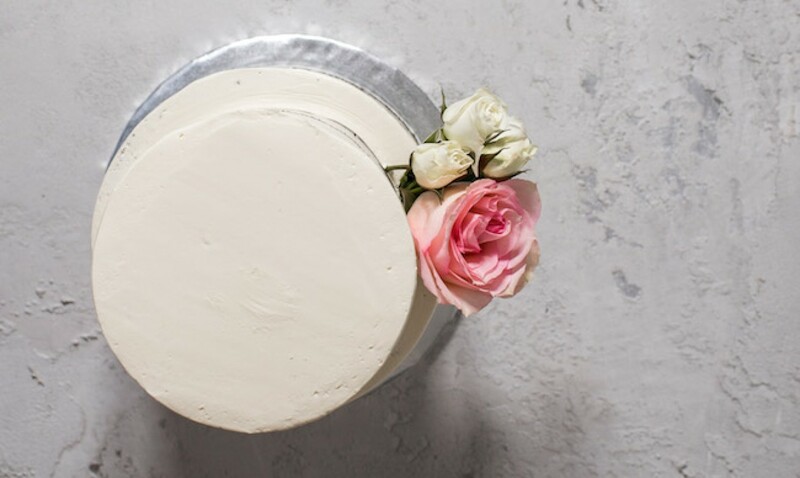 Whether you do a simple circle around the edge of the cake or a broader ring, a crown-like topping of flowers is simple but luxurious-looking. You’ll find just a few colorful blossoms go a long way when deconstructed and scattered to create a modern, romantic look. 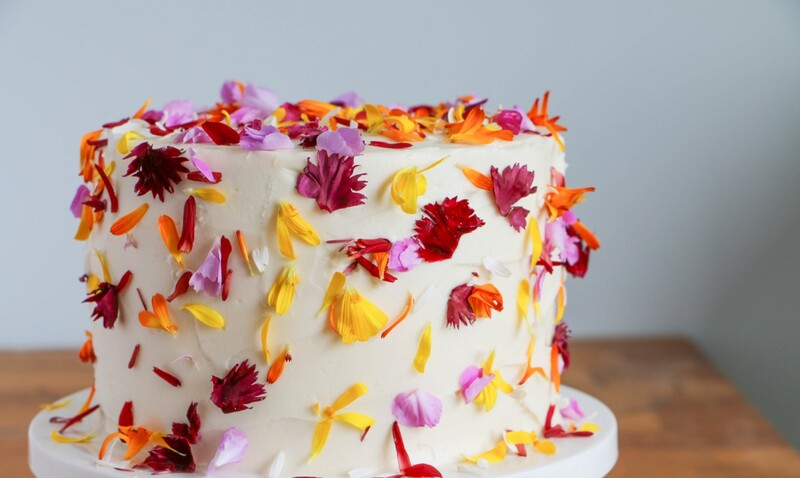 Plus, it’s totally foolproof: Simply toss gently pressed petals all over your cake. This one’s effortless — sort of how tucking a flower behind your ear makes you instantly look glam. Affix one (or maybe even a well-balanced trio) of flowers to the edge of a cake. When it’s time to serve, you can quickly remove them — or leave in place and see which lucky guest gets the special slice!